If you want to be the best, you have to learn from the best. In the retail business, there’s no one better than Apple. According to recent data released by eMarketer and CoStar, Apple remains the top retailer in the sales per square foot category, earning $5,546 per square foot of retail space! Apple’s new product launches are highly anticipated, and they have a great reputation among customers and employees. What are the reasons behind their success? 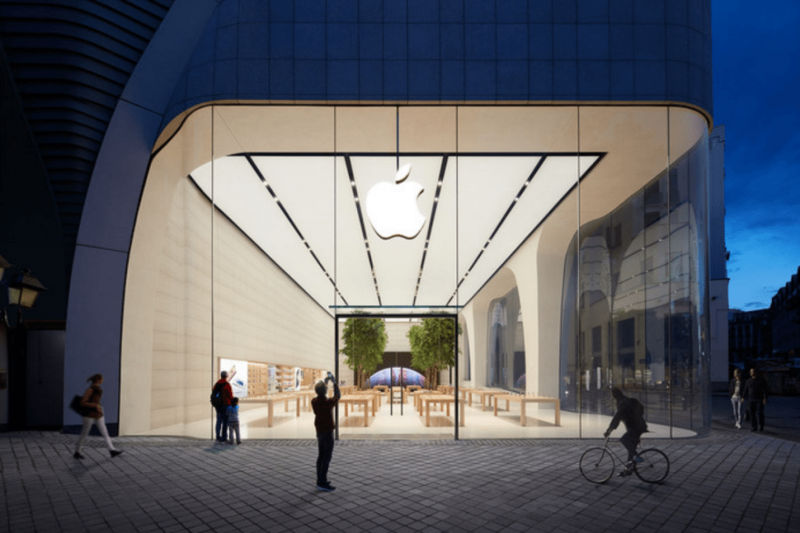 In this article, we look at the vision, culture, and design that power the world’s most valuable company, and share how retailers can learn from Apple to be at the top of their game. When you enter an Apple Store, one of the first things you notice is that all the notebook computer screens are positioned just slightly over 90 degrees. This position lets you see the screen, but it also invites you to touch the machine and use it. 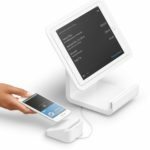 Furthermore, all devices in the store are connected to the internet. Customers can use any device for as long as they want–no time limit. If you think Apple is just being really generous, think again. Apple knows that touching products increases the likelihood of a sale. In a study from Ohio State University, researchers found that the longer you touch a product, the higher the value you assign to it in your mind. Experts suggest that touch increases a consumer’s sense of ownership, which compels the shopper to make the purchase. In the video below, you will see that Apple’s products are out in the open, and people are interacting with them. The devices are selling themselves. Providing space where shoppers can interact with your products. Put up signs to encourage shoppers to try your merchandise. Instruct employees to encourage shoppers to touch your products. When a customer purchases a product, provide them with some free samples to bring them back in store again. The physical design of an Apple Store is unlike any other. Each store is spacious, well-lit, and minimalistic. There’s nothing obstructing the view behind the glass windows. Almost everything inside the sales floor is visible to passers-by. Although many retailers use glass displays, they often display merchandise right behind the front window or put up huge marketing signs in the window. In contrast, Apple’s windows give shoppers a clear view of the products displayed in store, as if inviting them to come in and explore. In both architectural design and website design, simple designs are often more effective than designs that are visually complex. The reason is simple: low complexity makes it easy for the brain to process and store information. The brain processes visual information the same way regardless of whether you are looking at a website or a building. In other words, customers may find your store unappealing if it is cluttered with signs, displays, and merchandise. Removing product displays that obstruct the view from the outside like mannequins (a small well placed display may be fine, but try to keep things minimal). Keeping your store clean and well-lit. Discarding large window signs. Instead, put a sidewalk sign outside the store to announce a sale. Removing barriers between products and customers like glass cabinets. Even more central to success than the layout of your shop is the quality of your staff. To foster great customer experiences, consider paying your employees an above average hourly rate or an excellent benefits package instead of paying on a commission basis. 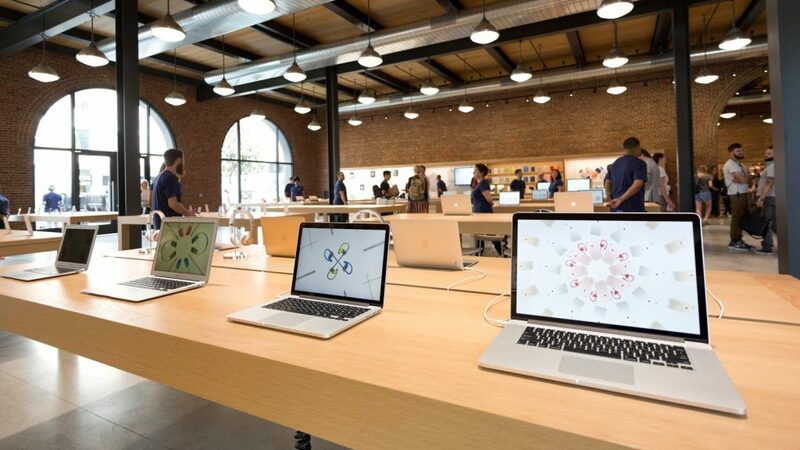 Employees in Apple’s retail stores don’t have sales quotas. Instead, they are encouraged to spend time and work with customers to provide solutions, which results in a better customer experience. Apple understands that earning money is the consequence of the company’s actions, not the company’s goal. 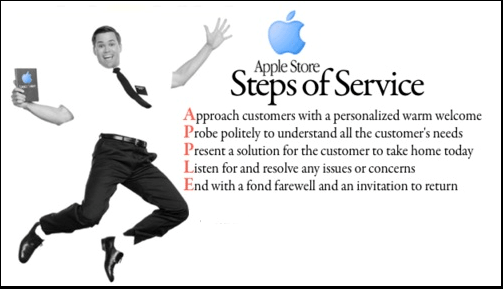 As a result, customers feel that Apple Store employees take care of them. “I have yet to visit the Genius Bar and not feel like that employee has my best interest at heart,” writes Apple customer Debra Brown in a Quora discussion. While performance-based incentives might motivate employees to push up sales numbers, they come at the expense of overall customer experience. As a retailer, you should prioritize customer retention over acquisition. Research shows that you are 60 – 70 percent likely to sell to an existing customer compared to a 5 – 20 percent sales chance to a new customer. Plus, your existing customers are your best marketers. Give them a great experience, and they will advertise your products to their friends and family for free. The description calls out to passionate and enthusiastic people who want to deliver a quality customer experience. Employees are more likely to stay focused on their work because they believe in your message. Employees will work together since they are a like-minded group of people. Employees are less likely to leave the company, so there’s less turnover. Employees become company evangelists and talk up your store to their family and friends. Research also reveals that nearly half of an employee’s success in the first year and a half on the job depends on how the employee fits in with others in the company. Instead of hiring the next available applicant, take time to look for someone who really fits the mold. As a small business owner, include your company values and employee expectations on your job description. Those details can make you stand out from your competitors and help attract candidates who believe in your culture. When customers walk through the door, they most likely have a problem, and they’re hoping that one of your products can be the solution. Apple clearly understands this, which is why instead of training employees to close a sale, they train them to help customers solve problems by listening. What interests you about Apple Watch? How do you see yourself using Apple Watch? Tell me about who this is for – is it for yourself or someone else? Are you looking for a watch that’s more casual or formal? Instead of hard selling, employees were encouraged to ask questions that let them highlight the ways the product can add value to the lives of their customers. This puts them in a position to make great product recommendations. Combine this strategy with a no commission policy, and you will most likely create a store environment where great experiences happen, thus increasing the likelihood of converting new shoppers to loyal customers. This is an important part of Apple’s secret formula that has powered them to the top of the retail industry. The term customer service implies an interaction between customer and employee that largely depends on the customer. For example, a customer walks in looking for a gaming console. The employee recommends a few products, talks about the specs, and waits for the customer to make a decision. There’s nothing memorable about this moment. On the other hand, when you say customer experience, the interaction between customer and employee no longer depends on the customer. Employees can take control of the situation how they see fit. The barrier between customer and employee is shattered, and when that happens, the interaction has the potential to be one of a kind. This view is supported by entrepreneur and financial advisor Patrick Bet-David who said that customer service is reactive while customer experience is proactive. Customer service is “How can I help you?”, while customer experience is “How are you today?”. In the first question, employees have no choice but to react to the customer’s response. In the second question, employees have more room to operate. For instance, if the customer is having a bad day, maybe the employee can offer a discount or throw in a free sample, cementing the experience in the customer’s mind. The video above shows Apple Store employees loudly applauding a kid who’s walking out of the store after buying an item. If you preach customer service, the interaction would have most likely ended after the customer left the cash register. If you value customer experience, you get enthusiastic employees who are eager to create fun and enjoyable experiences that make people want to come back again and again. Apple understands that you have to empower employees if you want them to create memorable experiences with customers. For example, there’s a popular story of author and venture capitalist Guy Kawasaki. He spent one hour having a conversation with an Apple specialist about business, golf, and children and only 10 minutes discussing the product (which he ended up purchasing). If the employee was bound by specific rules or time limits, the individual would have most likely ended the conversation not long after the product discussion. Instead, the employee decided it was the right thing to do to spend time with Kawasaki, a story which gave Apple great media exposure. One of Apple’s employees said that the Apple Store is all about creating the experience. He went on the say that the experience in the store is “fun, enjoyable, and makes you want to come back again and again.” Apple Store employees are empowered to create those experiences. The video shows more proof of Apple employees doing right by the customer. In the video clip shown above, author Scott McKain got a taste of Apple’s brand of customer experience. He made an inquiry about an Apple product over the phone. Since the product was not available, the Apple employee gave his name (Josh), asked for McKain’s name, and told him to call again the next day for an update. Josh then told McKain that the product is available and asked him if he wanted it. McKain was so blown away with the experience that he couldn’t say no! Empower employees to do what they think is best in a particular situation. The examples above illustrate that they will always put the customer’s experience first. Apple stores do not have a monopoly on providing awesome customer experiences. You can give your customers memorable experiences by staying true to your vision, hiring the right people and empowering them, and selling experiences. With these tips, you can create an atmosphere that makes your retail store hard to resist.